If you own a two wheeler, then having two wheeler insurance is essential. In spite of vehicle insurance being mandatory under the Motor Vehicle Act, 1988, around 75% of bikers ride uninsured two wheelers . Some just don’t want to invest further on their vehicle. While others have trouble in remembering renewal dates. That’s where a multiyear or a long-term two wheeler insurance policy jumps to your rescue. What is Multi-Year Two Wheeler Insurance? While general two wheeler insurance plans are designed for one year and have to be renewed annually, a multi-year two wheeler insurance policy is unique. This policy allows two wheelers to be insured up to three years consecutively at one time. Policyholders don't have to renew the insurance contract each year as they receive a policy certificate for a maximum of three years cover. Third-Party Liability Cover : This insurance plan covers you against expenses arising out of damages and losses faced by a third-party in case an accident was caused by your vehicle. Own-Damage Cover : Apart from third-party liability, some insurers also offer own-damage cover that protects your own vehicle against theft, accidental damages and losses caused due to natural and man-made disasters. Personal Accident Cover for owner/driver : In case of death or total disability due to accident caused by own vehicle, the owner/driver is compensated up to a certain amount with the personal accident cover. Co-passengers can also avail personal accident cover : At a little more premium, co-passengers too can get financially protected with a personal accident cover. Cashless claims can be availed at selected partner garages : Arranging funds for bike repairs and then waiting for claim reimbursement can be troublesome. But, some multiyear two wheeler insurers allow you to easily make cashless claims at authorized network garages. Quick issuance of policy online : No hassles of paperwork. Documentation and issuance process of policy is easily and quickly done online. You receive one policy document for complete three years. Option to port your two wheeler insurance from one insurer to another : Once you complete your policy tenure of maybe three years with a multi-year two wheeler insurance, you can easily port your insurance policy from one insurance company to another. You can save up to 20–40% upfront on premium : IRDA hikes the third-party liability portion of the premium by up to 20% each year. Multiyear insurance saves you against the hike of third-party premium as well as service tax. So, in comparison to a single-year policy, you save up much more with a multi-year two wheeler insurance policy. Eliminates the hassle of yearly renewal : Renewing your policy once for three continuous years is stress-free as compared to renewing it annually. Having a policy that has lapsed by a single day can prove to be a disaster because it’s risky to take your bike out on the roads in such a situation. In the event of an accident, you can’t even make a claim. Your insurer may demand for a vehicle inspection before renewal. You may have a tough time finding a new insurer. The chaos won’t stop. Having a long-term two wheeler insurance policy would kill the threat of all such complications. Protection for long-term : Enjoy long-term financial protection of your vehicle for three years. Ride safely and happily knowing that you don’t have to worry about third-party liability or own damage expenses for the entire three-year tenure. Also, you receive one policy document that is valid for three years. Cancellation of policy is very easy : Some insurers have designed the multi-year insurance product to make policy cancellation/termination easier. In a single year plan, if you make a claim in case of theft/loss, you are not eligible for premium refund. However, in multi-year plan, you can receive a certain percentage of the premium for all the unexpired years. The refund depends on the tenure of the policy utilized. Although the refund terms & conditions vary from one insurer to another, they should be reviewed before purchasing the policy. Lucrative discounts offered : At times, insurance companies offer upfront discounts on multi-year two wheeler insurance policies. The value of your two wheeler that is the Insured Declared Value (IDV) would remain the same in multi-year as it would be in a single year policy. It is the maximum amount payable if a claim is made for theft or accidental damages of the vehicle. The amount is fixed on the basis of the manufacturer’s listed selling price of the brand and model minus annual depreciation. When it comes to No-Claim Bonus (NCB), multiyear two wheeler insurance policies have an advantage over single year policies. An NCB is a discount provided to the policyholder for the next year of the policy, if they have not made any claims during the previous year. If you are eligible for 25% NCB in next policy, then in multiyear policy, 25% discount will be applied on the premium of all 3 years. While, if you do not make a claim in 3 years, then you are eligible for higher NCB in single year policies. But it works other way round too. If you make a claim then you lose the 25% in single year policy. But, in multiyear plan, the 25% is locked for you. Also, another benefit that you get in multiyear is that your NCB won't go down to zero with a single claim as in the case of one-year policies. In fact, some long term policies may even offer a higher NCB at the end of a 3-year policy as opposed to the cumulative individual NCB at the end of three years, in the case of short-term policies. What is a multi-year policy? Like the name suggests, a multi-year policy is an insurance plan with a tenure of more than 1 year. So, if you buy a 3-year insurance policy plan for your two-wheeler, then you don’t have to worry about renewing it until the end of the policy tenure, i.e. three years. 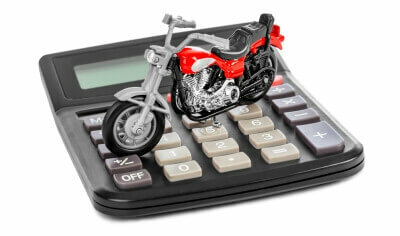 Why should I buy a multi-year plan for my two wheeler? Insuring your bike with a multi-year insurance plan frees you from the hassle of renewing you’re the insurance policy year-on-year. You pay once and stay free from renewals for the next three years. Moreover, a single policy document is valid for three years. Now that’s good news! You also protect yourself from revisions in third-party premium rates, which increase as per IRDA regulations. This means you’re saving on premium too! Another advantage is that you get to avail the benefits of no-claim bonus during the three-year long tenure, even if you make a claim during the policy period. How is the IDV for my two wheeler set for all three years? IDV or Insured Declared Value refers to current market value of your vehicle. It is the maximum ‘sum assured’ that you can receive from your insurance company if your vehicle was stolen or completely damaged. IDV depreciates year on year at a certain rate. In the case of a multi-year insurance plan, you can set the IDV of your two-wheeler within a pre-defined slab, only for the first year of the policy tenure. Your insurer automatically calculates the IDV for the subsequent two years by depreciating the first year IDV at a set rate. Will I get a refund if I want to cancel the insurance policy before the tenure of my multi-year policy is complete? Yes, you will get a refund, and it will depend on the tenure of the policy utilized. The terms and condition of refunding differ from one insurer to another, so you should always read the policy document carefully before purchasing a plan. You can always ask your Coverfox insurance advisor to help you understand the policy terms and conditions. We’d be happy to help. What if I want to switch to another insurer before the tenure of my multi-year policy is complete? You can easily raise a request to cancel your current policy and buy a new one. The refund will be calculated based on the tenure of the policy utilized and transferred to you as and when the request is raised. How can I raise an endorsement if I have change certain details in my multi-year policy? There is no difference in the way endorsements are raised for a multi-year plan. Whether you’d like to get your misspelt name corrected or change your address, you can contact our Customer Service Unit and raise a request for the endorsement. What will be my NCB once my multi-year policy tenure is over? No claim bonus is simply the discount that you get on own-damage premium for a claim-free previous year. The more number of consecutive claim-free years you have, the more percentage discount you accumulate for your next renewal. Similar concept is applicable in a multi-year policy too. However, the logic is different from one insurer to another. Some insurers lock the no-claim bonus for the policy period, which means that if you are eligible for a no-claim bonus of 25%, the same percentage discount will be applied on all three years. On the other hand, there are insurers who apply no-claim bonus at an incremental basis. It is always best to read the policy terms and conditions carefully before making a purchase. You can also get in touch with our Car Insurance experts on 1800-209-9970 to understand your coverage options in detail.